OTN Directory | Old Town North Community Partnership! OTN Directory – Old Town North Community Partnership! From Yoga to Cycling, Fresh Produce from Virginia's Northern Neck and Equity Theatre, Old Town North has much to share... Help your neighbors find your unique business with the Old Town North Community Partnership Business Directory. Agnès Artemel is a Realtor with Keller Williams Metro Center. She is a past president of the Old Town North Community Partnership and currently a Board member at NOTICe. She is involved in community affairs in many ways, from planning and sponsoring local events to serving on Boards and Commissions of the City of Alexandria, and is an expert on Old Town North, its communities, and its future prospects. She has been appointed to represent Rivergate, the Oronoco, and Tobacco Quay on a stakeholder panel. 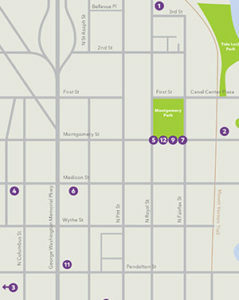 Invest, buy a home, and live happily in Old Town North! Bold Town Branding is a strategic marketing firm that offers innovative and custom brand awareness solutions for small and medium size business in Old Town Alexandria and the Metropolitan DC area. We don't believe in the one-size-fits-all approach to marketing and always customize our marketing strategies to each client's goals, objectives, and target audiences. From marketing strategy to custom content, data analysis, branding any more, we are always creating new and innovative ways to increase our clients' overall reach and brand awareness. Contact us for a complimentary brand analysis. Expert Handyman & Remodeling, we realize that peace of mind is important to you. Our team of trusted craftsmen is licensed, bonded, and insured, meaning we are fully trained and prepared to take on your home projects—big or small. We let our quality work and commitment to customer satisfaction be our slogan. Welcome to Fetch! Pet Care — from dog walking in Old Town to cat care in Del Ray to private boarding in Crystal City, we’ve got your tail covered. With 9 Years of experience we’re fully committed to helping our friends and neighbors by providing exceptional pet care for everyone. No matter where you live in the area, we uphold The Fetch! Happy Pets Promise™ in which peace of mind, convenience, and satisfaction are guaranteed for you and your pets. Lulu Sage Salon and Spa located in North Old Town, is an upscale salon designed to be a comfortable, approachable environment for you to relax and be pampered. Come in and meet our talented team to handle all of your Hair, Nail and Waxing needs. 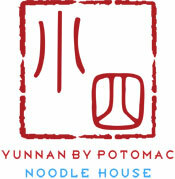 Check out our website for our complete list of services and enjoy 15% off your first visit. ​​Where your pets go for vacation! We take pride in providing our customers high quality services personalized for their unique needs. We understand that kennel environments can be stressful for pets so that is why we began offering luxury pet sitting services in our home and yours. We do not have breed or weight restrictions. All pets are welcome! The Potomac Conference Center is housed within the ABI headquarters office in Canal Center Plaza. Situated just steps from the Potomac River, it is an ideal alternative to a large traditional hotel space with flexible meeting space, recording studio and rooftop deck. The rooftop deck is the perfect complementary outdoor space, with views of Washington D.C. and Maryland, and can accommodate receptions for up to 200 attendees. Its location in north Old Town Alexandria means easy access to cafes, restaurants, shopping and many historic attractions. Transportation options to the office include two large hub airports and major transit, including Metro and Amtrak. Catering is available upon request. The ideal alternative for your next workshop, business meeting or reception. River's Edge Yoga Center, one block from the river in Old Town Alexandria, is a cozy yoga oasis dedicated to the teaching of yoga in the classical tradition. We offer Ashtanga Vinyasa Yoga, both the Primary and Intermediate Series and Mysore along with Yoga For Athletes, Yoga Sage a therapeutic approach to Yoga, Vinyasa Flow, Pre and post natal yoga,Yoga Tales for the younger set, Ballet and Barre. 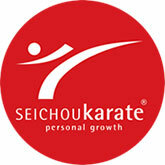 Seichou Karate® offers an interdisciplinary curriculum of old school Japanese karate, calligraphy, abacus and language for powerful holistic personal growth. Visit us in Old Town at 807 North Royal Street or in Hollin Hall at 7914 Ft. Hunt Rd., to learn why readers of the Washington City Paper have voted us “Best Martial Arts Classes” from 2014 to 2018. 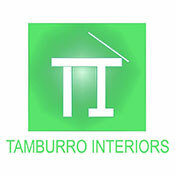 Tamburro Interiors, LLC is a full service interior design firm specializing in sustainable hospitality, restaurant/ food & beverage, retail, and residential design. 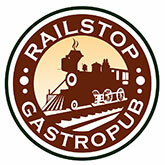 With more than 25 years of experience in the development of singular concepts for the interior design, retail, and food service industries, Ms. Tamburro brings a unique perspective to each project and exceptional insight into understanding what makes a restaurant, store, or hotel guest-friendly, aesthetically pleasing, yet cost effective to build. As a LEED Accredited Professional, her extensive knowledge of and passion for sustainable design and business practices are a valuable asset to her clients. Ms. Tamburro's residential clients appreciate her ability to provide comprehensive design schemes that enhance their personal taste, creating spaces that are polished and livable, affordable, and adhere to their schedule. The Dalton is a 14 story apartment community with impressive, unobstructed views of Washington, DC and the Potomac River. The Dalton offers studio, one bedrooms, two bedrooms, and three bedrooms apartment homes. All apartments feature quartz counter-tops, brand new stainless steel appliances, full-sized washer and dryer, and a brand new modern look. The Dalton also offers stylish and elegant amenity spaces that are on par with or superior to those found in the DC metro region. These amenities are: Concierge Service, Community Lounge and Click Café, Fitness Center and Yoga Studio, Grand entry courtyard, rooftop pool lounge, with fireplace and barbecue grills, and a classic Old Town Alexandria design aesthetic. The Dalton offers first class customer service, amenities, location, and apartments to the residents of Alexandria and the DC metro area. 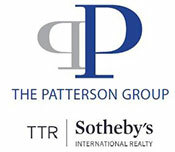 The Patterson Group is led by Phyllis Patterson, named the #113 real estate agent in the country in 2017 by REAL Trends and the Wall Street Journal, and offers professional, hardworking, detailed, and friendly service and a large network of contacts collected over more than thirty years in Alexandria real estate. With both local and international reach, we are ideally positioned to serve as your experts on development and upcoming listings in North Old Town. The Mission of Trader Joe's is to give our customers the be best food and beverage values they can find anywhere and provide them with the information required for informed buying decisions. We provide these with a dedication to the highest quality of customer satisfaction delivered with a sense of warmth, friendliness, fun, individual pride and company spirit.